You can tell a great deal about an accounting software package by entering a simple order into the system. This will allow you to gain insights into the look and feel of the system, the way it navigates, the speed, the ease of use, the breadth of features, etc. 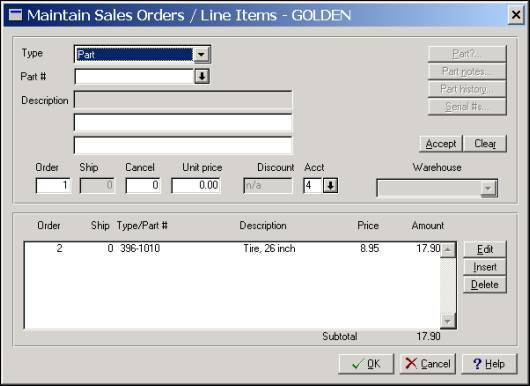 The following article walks you through this process using BusinessWorks Gold. The screen below allows the user to select the proper customer. Upon selecting the proper customer, BusinessWorks displays summary information and makes it easy for the user to verify basic information such as terms, sales representative, bill to address, etc. To gain more detailed information, the user clicks on the customer button in the upper right hand corner to display the customer information screen shown below. 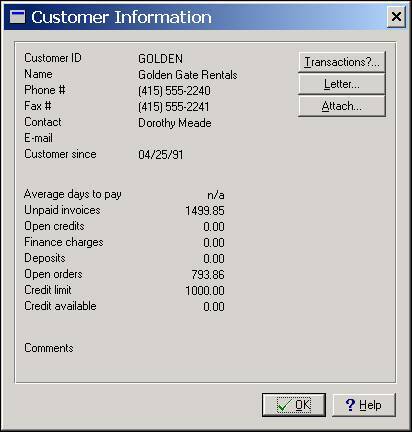 In this screen, the user can see the amount of credit, unpaid balances, e-mail address, and the number of years the customer has been a customer. Also handy are buttons that allow the user to drill down to transaction data such as payments received or invoices delivered. This would be useful for reconciling a disputed outstanding balance, or answering a quick question regarding the last invoice amount, the last check number received, etc. The Letter button makes it easy for the user to print a predefined letter that is ready to send to the customer. The Attach button allows the user to input customer comments and notes that might be useful in the future. These are all useful features to look for regardless of which accounting software package you are evaluating. 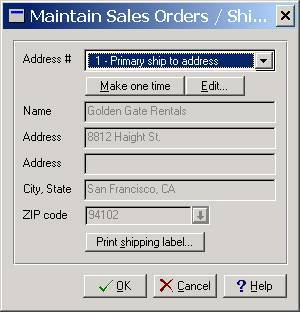 Back at the order screen, another button provides access to the screen where additional ship-to addresses are maintained. With BusinessWorks, you can hold up to 500 different ship-to addresses for each customer – that is usually more than enough. The button at the bottom of this screen is a quick print button which makes it quick and easy to print a shipping label. Once the customer has been properly identified, the user is ready to move on to step two – identifying the parts and service items to be purchased by the customer. To accommodate the wide variety of items sold by businesses, BusinessWorks supports several different types of items. 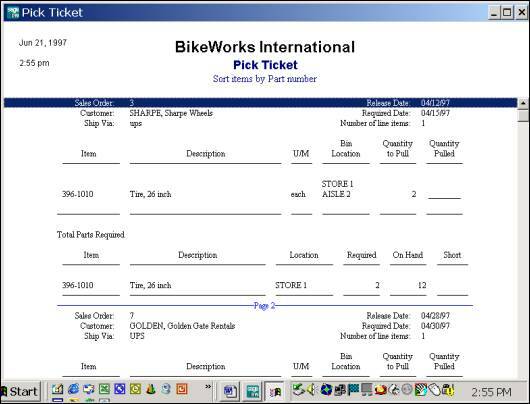 In the screen below, we see that BusinessWorks tracks parts, non-stock items, Labor items, comments a kits. Each of these is important. Parts are obviously important, that’s what many businesses sell. However, many businesses also sell parts, which they do not keep in stock. 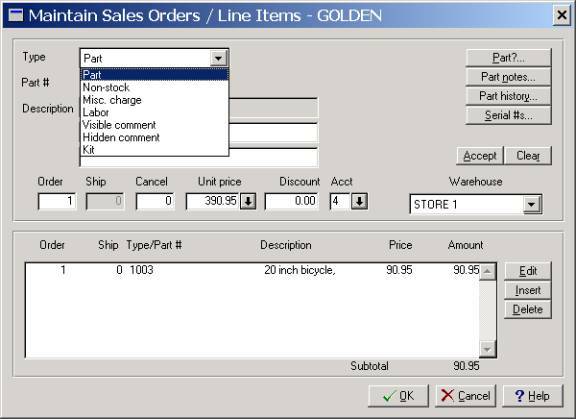 In this case, BusinessWorks allows the user to make the sale, even though the non-stock part requested is not on the premises. For example, assume a customer has just purchased a bike, and they want to also purchase the streamers that hang out of the handlebars. Perhaps you do not stock streamers, but you know that Wal-Mart does. You agree to sell these streamers to the customer for say $8.00, and before the bike is delivered, your employee drops by Wal-Mart and picks up a set of streamers for $3.50. Labor is an important category because it allows the company to sell labor to its customers without a time and billing system – in affect, the inventory module is the time and billing system. It works like this. An automobile repair shop charges it’s customer $250 for 1 bumper, $350 for 1 fender, and 8.75 repair hours at $35 each. The invoice reads perfect – and sales tax is suppressed on the labor charge. In other words, the company sets up and sells repair hours at $35 each, painting hours may be priced at $50 each, and so on. In this manner, the company is able to charge the customer for materials and labor. BusinessWorks understands this need, and accommodates it well. Peachtree Complete Accounting does the same. The visible comment option allows the company to easily insert an unlimited amount of text onto the invoice such as “warranty void” or “fill with oil before starting engine”. 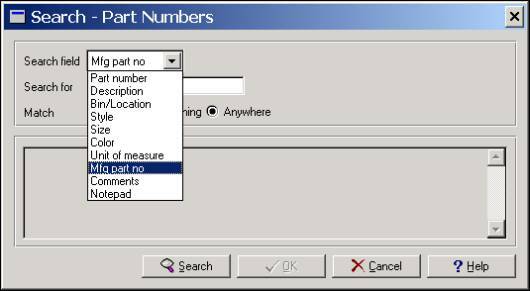 In the 80’s many accounting software packages lacked this feature, but today, BusinessWorks has this problem solved. Finally, BusinessWorks also supports kits, which is a group of individual inventory items that are assembled together prior to sell. For example, a company may assemble 45 different items into a single carburetor. As the worker assembles the carburetors, they indicate the assemblies in BusinessWorks, which in turn increments the number of carburetors on hand, and decreases the number of the various components on hand by the appropriate amounts. BusinessWorks provides a search tool that is impressive. With this search tool, the user can search for text within the item description. Many products are weak when it comes to searching lists as they are only able to look up items based on an alphabetical search. For example, assume that the customer wanted to purchase a “lamp”. The order taker might not be aware that the customer really wants to purchase a “desk lamp” or “fluorescent lamp”. In this case, the order taker would search the “L’s” for lamps, and would completely miss the “desk lamp” or “fluorescent lamp”, which might lead to losing the sale. 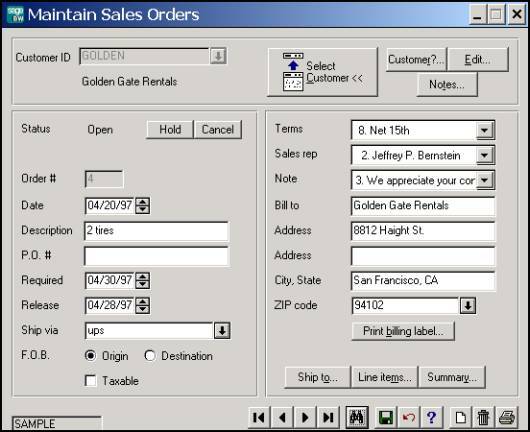 With BusinessWorks, the order taker could search for the phrase “lamp”, and BusinessWorks would find all occurrences of this phrase and return a comprehensive list. Not only that, but BusinessWorks can also search other fields as well to find manufacturer part numbers, colors, styles, sizes, locations, etc. 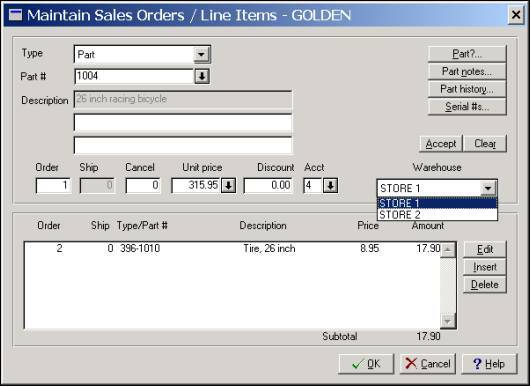 As an item has been selected for sale, a quick item button allows the order clerk to view information on that particular item including quantities on hand by warehouse, pictures, attached notes, and even historical transactions. 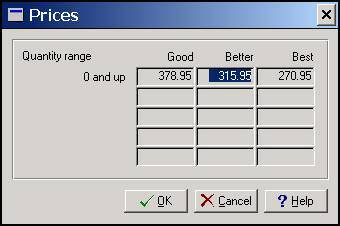 As the item is selected, BusinessWorks pops up the matrix pricing window which is customer and quantity sensitive. This window is seen in the screen below. Notice that the cursor defaults to the appropriate sales price based upon the current customer and order quantity. 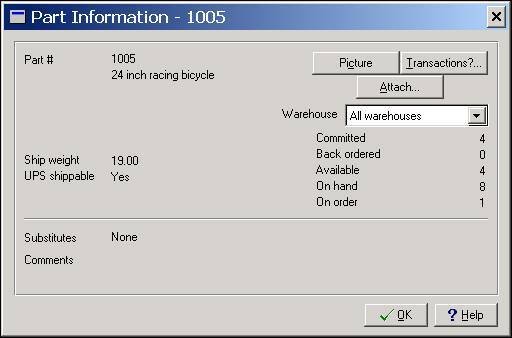 Finally, as the item is finalized, the order clerk has the option of picking the particular warehouse location from which the item will be shipped. 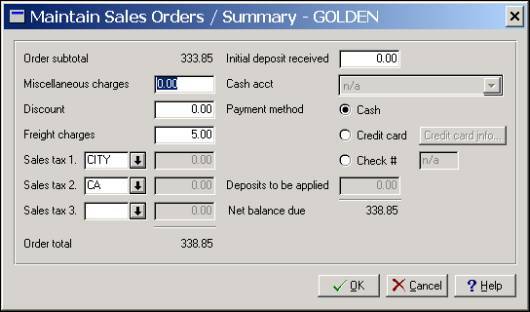 As a completion to the order process, the final screen allows the order clerk to indicate the method of payment. In the screen below, the order clerk prepares to accept a credit card payment. 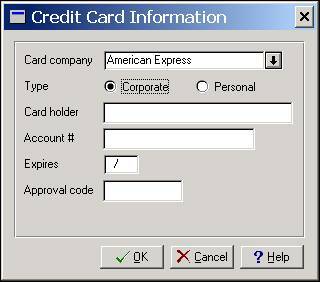 Third party add-on applications can automate the credit card check and approval process. 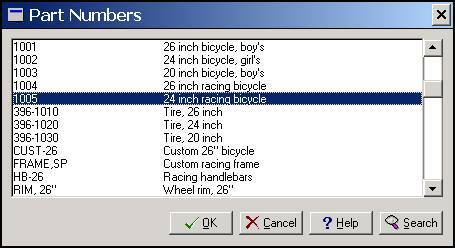 If the customer purchases an item for which serial numbers are being tracked, then BusinessWorks pops up a window to remind the order clerk to indicate the precise serial numbers associated with this particular sales order. Back in the warehouse, workers print out the picking tickets and package the items for shipping. BusinessWorks is a strong entry level, beginning mid-market solution. As you perform your evaluation of the various accounting software products, you would be well advised to compare that product to these features found in BusinessWorks. If the candidate falls short, waste no further time on it.